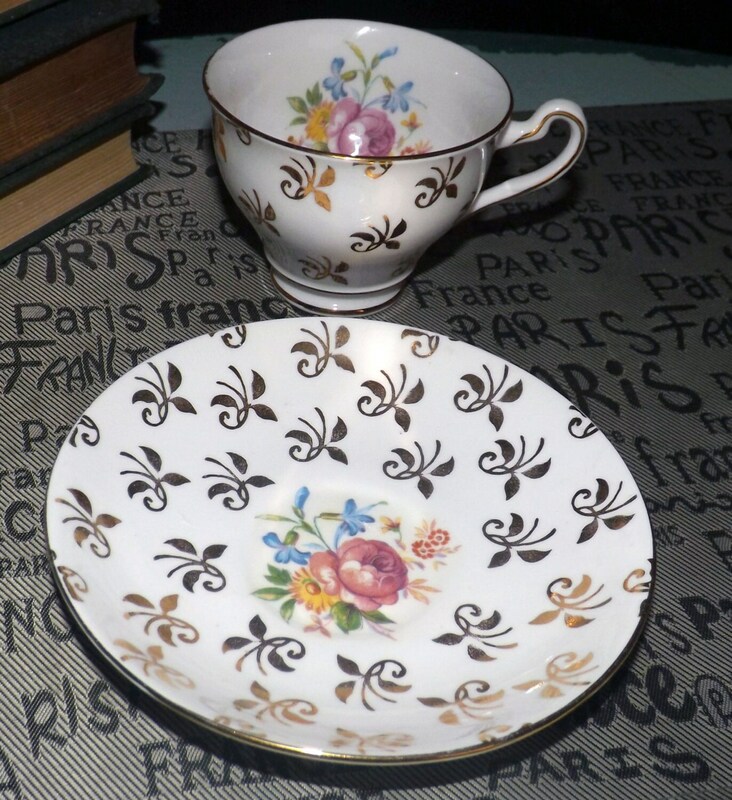 Mid-century (1950s) Clare Bone China England tea set (flat cup with matching saucer). Gold Fleur de Lys, multicolor florals, gold edge. 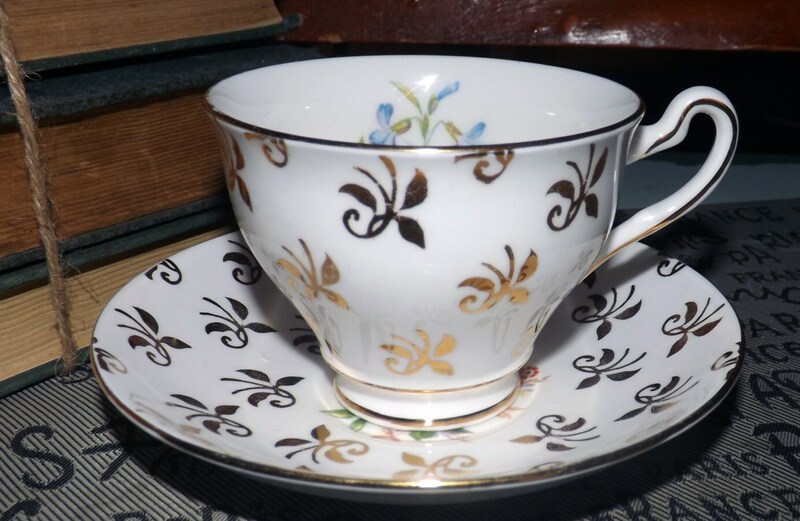 Mid-century (1950s) Clare Bone China England tea set with a gold Fleur de Lys pattern, multicolor floral center on saucer and on inside cup bowl, a white ground and gold edge. 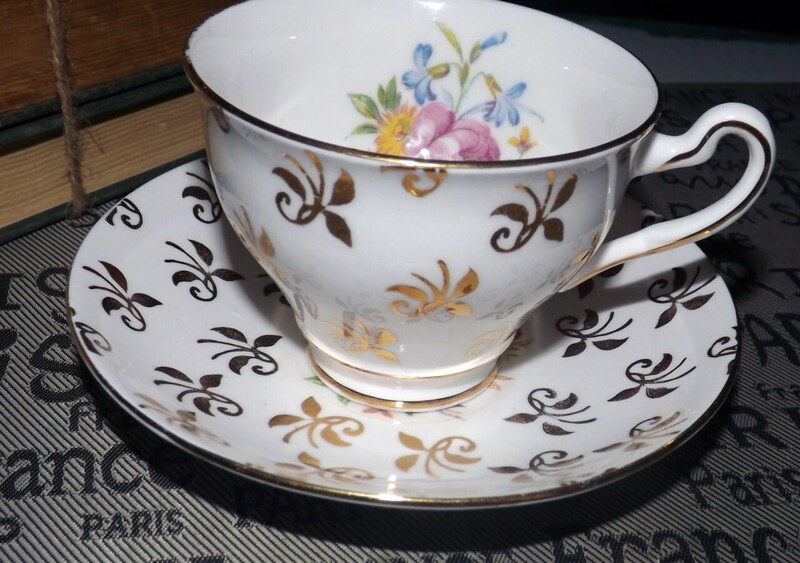 This very pretty tea set (flat tea cup with matching saucer) is in EXCELLENT! condition with NO! chips, cracks, fleabites or crazing, NO! gold loss to the fleur de lys, edge or accents and NO! marks, stains, scratches or other signs of use or wear. 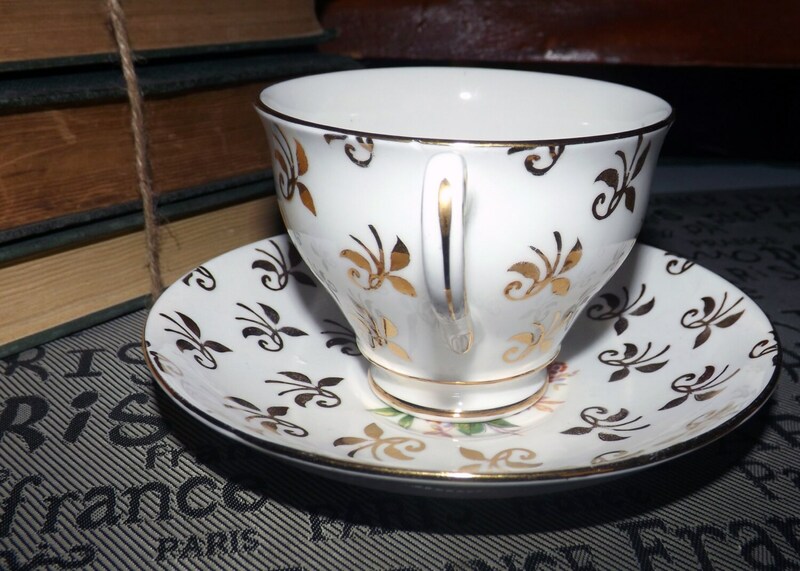 Approximate measurements: flat tea cup stands 3" H with a 3-1/2" diameter cup bowl. 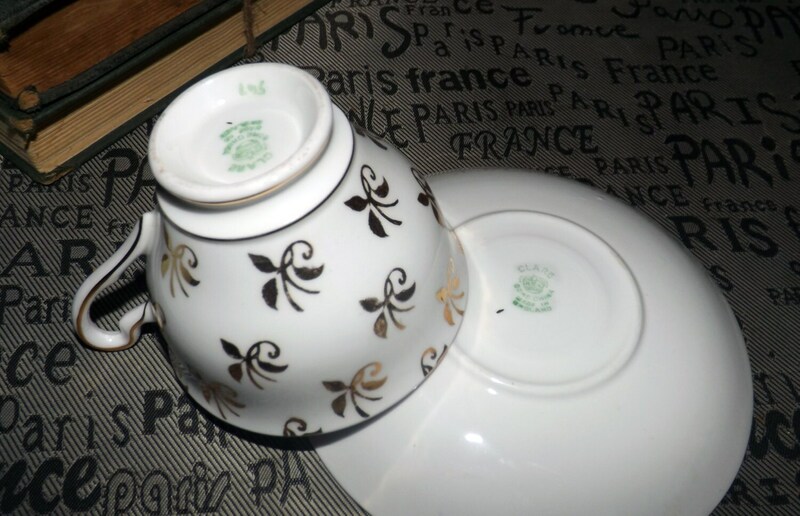 Matching, coupe-shape saucer is 6" in diameter.